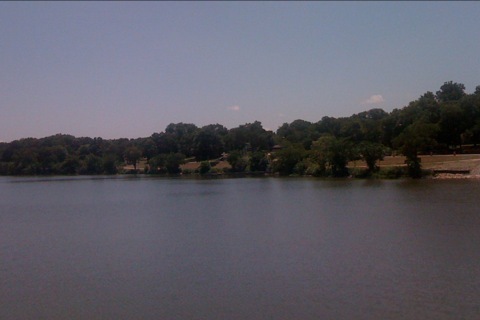 NYC’s recent heat spell has awakened sweat-enhanced memories of 17 summers in North Texas. To a transplanted New Yorker, life in Dallas is mostly summer. It stretches easily for eight months, from April to November, during which the air never cools. Even in the middle of the night, the city is like a warming oven; the sidewalk, streets, buildings and cars are perpetually warm to the touch. Texans call the early unstable days of summer “spring;” these days are characterized by an apocalyptic enthusiasm of weather: thunder storms, flash flooding, hail that ranges in size from marbles to baseballs – baseballs, people – and has given rise to an entire sub-industry of car and roof repair, and regular tornado alerts. Once the Texas so-called spring has roared itself out, the long, hot days of summer lay themselves down over the city like a heavy quilt on a winter sickbed. Days of 100 degree temperatures pile up like dealt cards and when it’s not 100 degrees, it’s 99 or 96, so what, really, is the difference? 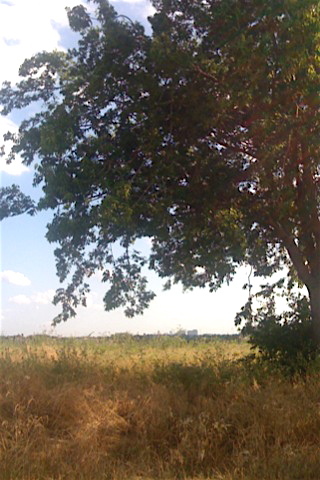 From inside an air-conditioned house or car, it looks beautiful out there. But, oh my friends, it’s hot. Texans who run or garden or bike tend to get up and out early. 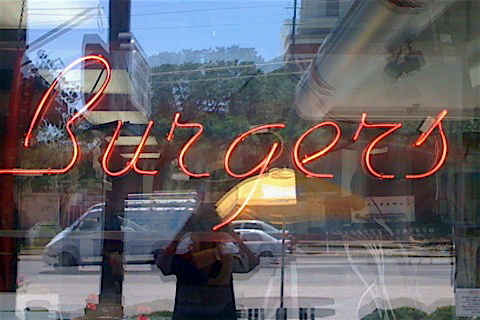 Which is what I did on a quick visit to Dallas last month. My friend Ellen was excited to show me a turkey vulture nest she had spotted a few days earlier, near the bike path around White Rock Lake. 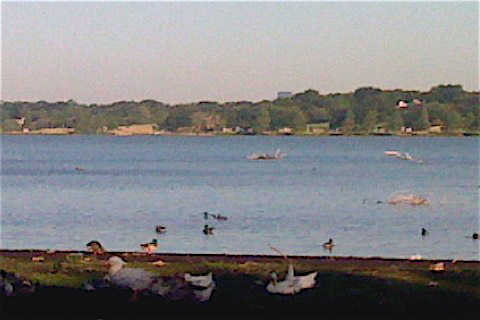 So at 7:30 one morning, we headed out to bicycle the nine or ten mile loop around the lake. The sun had already begun its relentless shine and the temperature was in the 80s when we stopped at a swampy area to admire a pretty little coot. 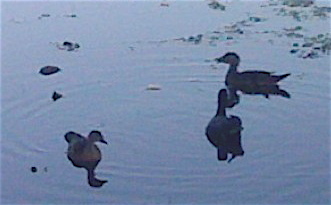 It swam placidly about, enjoying the company of two lively juvenile wood ducks. 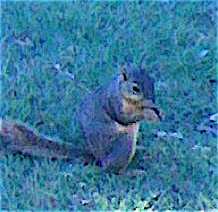 while on the other side of the path, a charming fox squirrel found something tasty to munch on. 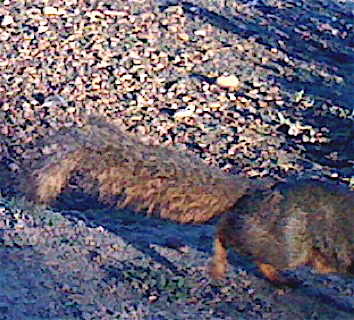 In NYC, I miss fox squirrels, just as I missed Eastern gray squirrels when living in Dallas. 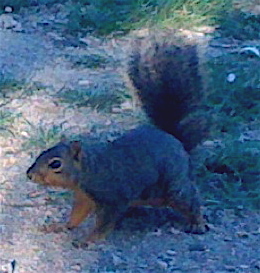 Bigger than grays, fox squirrels have a lovely reddish tinge to their undersides. 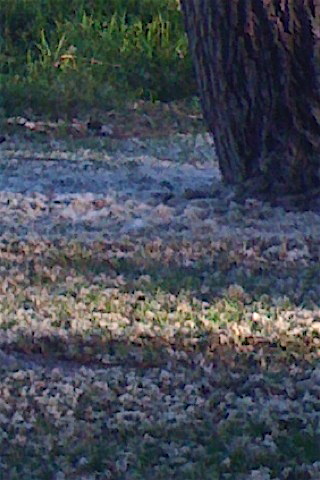 Snow appeared to cover the ground beneath a nearby cottonwood tree. 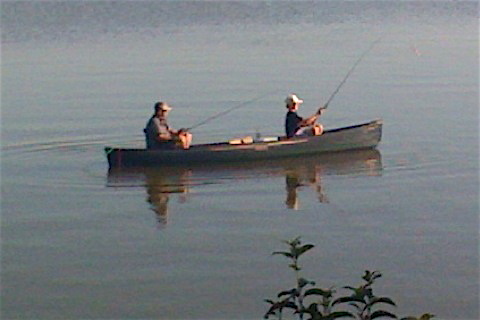 and watched two peaceful fishermen. Back in the saddle, we neared the turkey vulture nest. 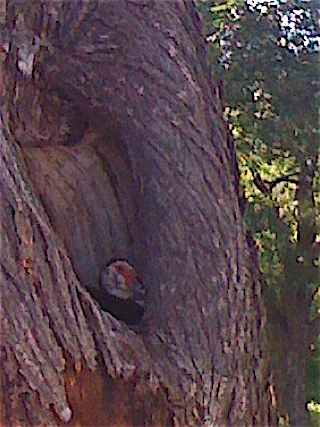 A turkey vulture nesting in a tree hole? Really? I moved closer. And it was. A strange-looking, carbuncle-adorned duck. 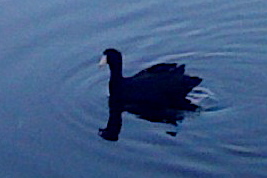 A Muscovy duck, we determined, after consulting the Audubon Guide on my iPhone. If it is wild, rather than an escaped captive, it is an unusual find. Either way, we were thrilled with the sighting. After the bike ride, no matter how much I drank, I was thirsty. 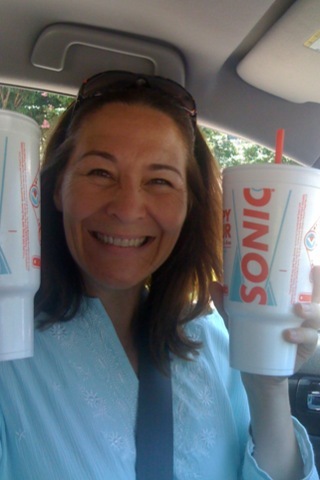 So another friend pulled the car up to Sonic where, in addition to selling burgers, they sell drinks “as big as your head.” In Texas, a person needs a drink as big as her head. We bought two. Summer in North Texas will eventually be followed by four stunningly beautiful months of autumn. Texans call these months “winter,” but people from the Northeast know better. A person doesn’t really need a winter coat in Dallas, just a jacket. That’s not winter. That’s fall. It’s true that every couple of years, a thin winter-like layer of snow dusts the ground, and a crop of undersized snowmen springs up on the lawns like mushrooms after a rainfall. These snowmen tend to be brownish in color, due to the amount of dirt scraped up by their Creators along with the snow. And once in a very great while, a winter ice storm turns tree branches and grass blades to crystal. But the main game in Dallas is summer. And right now, whether in NYC or Dallas, it’s all about the heat. Time to find some shade.